Today I have an interesting product from Mionix, who are known for their wide range of peripherals. 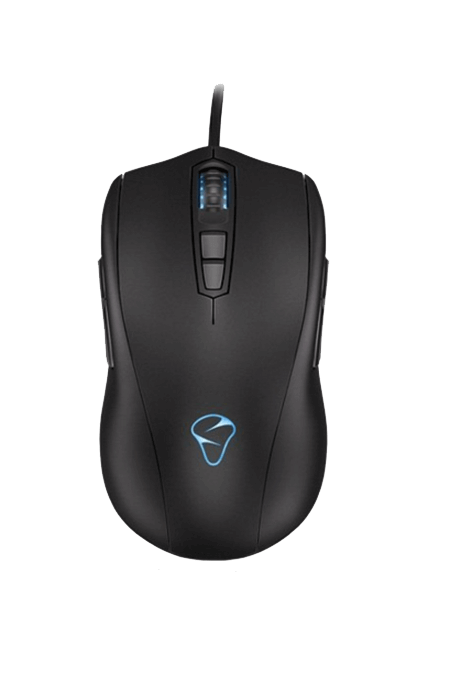 One of their releases is the Mionix Avior-7000 optical gaming mouse. This particular mouse has a unique ergonomic shape that is symmetrical and is meant to be used by either left or right-hand users. This mouse can also support a palm or claw-type grip and the soft touch of its surface feels excellent, although will wear in time and I would have liked to see rubberized sides for the longevity of the coating on places that it is used the most. Mionix claims that they have treated the surface of the mouse with four layers of such material and given the exceptional ergonomics, I am pleased with the overall feel of the mouse. The new ADNS-3310 Avago optical sensor has been outstanding and I haven’t noticed any distortions in terms of swiping accelerations. 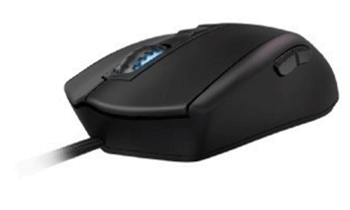 I have had no issues with tracking accurately with this mouse all the way up to 7000 DPI, which is all you need for gaming on multiple high-resolution monitors as well as other productive tasks. It is one of the better regarded optical sensors and a very important part of the gaming equation. One downside that I have noticed with its sensor is that it doesn’t track on white surfaces nor on glass, so that is something to keep that in mind. So for better results, I will recommend using a hard rough pad for a smoother glide. At 3.5 ounces, the Mionix Avior-7000 gaming Mouse is one of the lightest gaming mice that I have used with a bounce rate distribution. 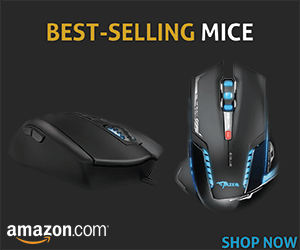 It is, however, not suitable for those who prefer a heavy mouse as the Avior might be uncomfortably light and it’s unfortunate that it doesn’t come with an adjustable weight system. The Mionix Avior also has customizable options that are multicolored and you are able to adjust the two lighting zones which include the logo at the back and the scroll wheel that displays a single color or color shift in solid, blinking, pulsating or breathing effects. They are not really features that wowed me but having the option to color match all my other peripherals is something that I have come to expect in a gaming product, and I am glad to have it. I noticed that there are nine 9 programmable buttons on theMionix Avior which can be programmed through the driver software and out of the 9 buttons, 6 of them can be programmed as macros with 2 on each side and the other 2 that are located behind the scroll wheel that is typically meant to adjust the DPI settings. The buttons do provide excellent tactile feedback. The cable is braided but the USB port isn’t color coded, so it is difficult to differentiate when plugged in behind your computer. The USB side also wasn’t fully stable on one of my laptops with a slight movement of the cord that causes disconnections which were really unpleasant but it operated fine when I plugged it into a different machine. One drawback of the symmetrical design is the buttons on the opposite side of my thumb. I keep pressing them accidentally and they do prevent me from having a tight grip. On the better note, theMionix Avior software is easy to use with plenty of customizable options where I can program the macros to my preference as well as have up to 5 different profiles with different settings that are stored on the mouse itself. I observed that I can adjust the double-click speed and the scroll speed as well as disable or enable the pointer acceleration. The sensor performance can also be adjusted with 3 different stops for my DPI preference. I am going to conclude by stating that Mionix Avior hits the market with a lot of advantages which I will consider as my Pros.